The AfD are [80.0] win most seats on September 24 but they're polling at just under 10% which means they're set to enter the Bundestag for the first time. 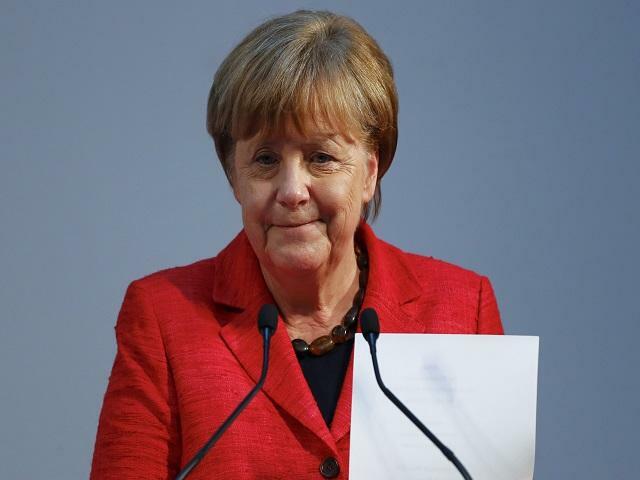 With her Christian Democracts [1.12] to win most seats in Germany's federal elections on September 24, Angela Merkel looks almost certain to win a fourth term as German Chancellor. Merkel came to power in 2005 and, as Europe and the rest of the world have undergone enormous changes in the past 12 years, Germany's first female chancellor has been the face of stability which is why she's often dubbed "the Queen of Europe." One of the most controversial moments in Merkel's chancellorship came in 2015 when she decided to open Germany's borders to refugees and migrants fleeing war in Syria, Libya and elsewhere. The right-wing Alternative for Germany (AfD) have tried to exploit this over the past couple of the years, with some success. The AfD are [80.0] win most seats on September 24 but they're polling at just under 10% which means they're set to enter the Bundestag for the first time. Some way ahead of the AfD, but nowhere near as close to the Christian Democrats in the polling or the betting as theyd like, are the Social Democrats [20.0], the opposition party that was hoping to end Merkel's reign this autumn. Martin Schulz became their leader in January and, when the part enjoyed an early poll bounce, it looked liked the autumn election could be close contest. But Schulz, who's out to [9.2] to be Germany's next chancellor, has struggled to get his voice heard and failed to score victories in Germany's regional elections, in places like Saarland, where the Christian Democrat vote proved to be robust. Latest polling shows Merkel's party winning 41% of the vote, with the Social Democrats only managing 24%. During her time as chancellor, Merkel has survived three French presidents - Jacques Chirac, Nicolas Sarkozy and Francois Hollande. If Emmanuel Macron doesn't want to be the fourth then he better buck up his ideas. The French president, who came to power in May then watched his En Marche! party win a majority in parliament, has seen his popularity plummet and a new poll shows his approval rating has fallen to 40% (it was at 64% when he came to office). Centrist Macron was powered into the Elysee Palace by a coalition of supporters - including everyone from moderate conservatives to pragmatic leftists - which looks increasingly fragile. In September, Macron will try to force through his labour reforms - making it easier for employers to hire and fire - but he will face fierce opposition from unions and supporters of left-wing presidential candidate Jean-Luc Melenchon who, let's not forget, won 19% of the vote in the first round of May's presidential election. The movment for Catalan independence is likely to receive more support following the Catalonian police's widely-praised response to the terrorist attacks in and near Barcelona. The Mossos (Catalan police) acted rapidly in the minutes following the attack on La Rambla and, in the aftermath, Catalans' generally have responded in a markedly dignified manner. The day after the attack, "We are not afraid," was the cry from the crowd on Placa de Catalunya who refuse to adopt the politics of fear and instead choose united defiance. This should only help supporters of independence, ahead of the referendum on Catalan independence on October 1. The vote for independence is [1.27] to win, with the vote against [4.0]. Unlike the referendum on Scottish independence, which was approved by the British government, the Catalan vote does not have the approval of the Spanish government and is actually considered illegal by Madrid. This means that, if Catalans do vote for independence, they're still unlikely to break away from Spain, at least in the short term anyway. In the past five years, there have been enormous protests in favour of Catalan sovereignty and support is growing. The response to the tragic attacks in Barcelona added to the impression that Catalonia could function as a fully-fledged country and helps to disabuse the rest of Spain, and the rest of the world potentially, of the myth that pro-independence supporters are inward-looking nationalists.